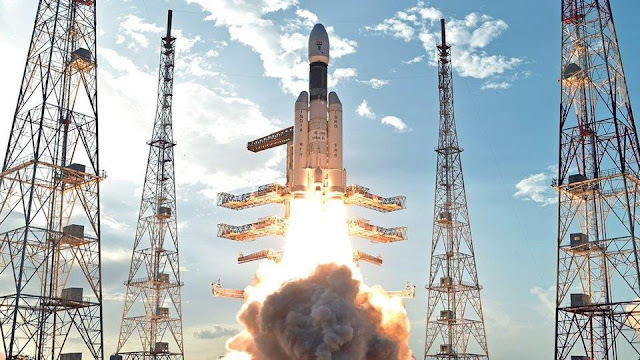 Indian Space Research Organisation [ISRO] today successfully launched its most powerful rocket, GSLV Mk III nicknamed 'Fatboy'+ , by firing a high thrust indigenous cryogenic engine in the first developmental flight and placed the country's heaviest satellite in orbit. With the launch, Isro has demonstrated its mastery in developing a cryogenic engine, a technology denied to it years ago ! The launch proves the homegrown launch vehicle's capability of hurling up to four tonne payload into higher orbits. It has also laid a strong foundation for its ambitious future projects, including Chandraayan-II and a manned mission, besides venturing into the global heavy payload market. At 5:28 pm on June 5, 2017 the Indian Space Research Organisation successfully launched its GSLV Mk III launch vehicle from its spaceport in Sriharikota, Andhra Pradesh. 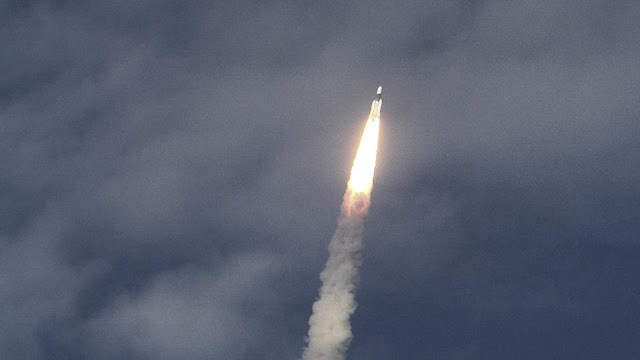 A little less than 1,000 seconds later, the mission, designated D1, was declared a success after the rocket injected the GSAT-19 satellite it was carrying into a geostationary orbit. The space research activities were initiated in our country during the early 1960’s, when applications using satellites were in experimental stages even in the United States. With the live transmission of Tokyo Olympic Games across the Pacific by the American Satellite ‘Syncom-3’ demonstrating the power of communication satellites, Dr. Vikram Sarabhai, the founding father of Indian space programme, quickly recognized the benefits of space technologies for India. ISRO has come a long long way since .. .. ….. ……. Even by ISRO standards, today was a big challenge as it tried to tame a rocket as heavy as 200 full-grown Asian elephants. Standing tall on the rocket port at Sriharikota in Andhra Pradesh, the Geosynchronous Satellite Launch Vehicle Mark III (GSLV Mk-III), was the heaviest rocket ever made by India. Top Scientists were anxious as its success could propel India into an elitist zone and could well become India's vehicle of choice to launch Indians into space, from Indian soil using Indian rockets. The Mk III is a three-stage rocket. The first stage comprises two solid-fuel motors called the S200. The second stage is the liquid-fuel powered L110 engine. The third stage is the CE20 cryogenic engine (alternatively, the C25 cryogenic stage). The CE20 engine combusts liquid hydrogen and liquid oxygen to generate almost 20 kN of thrust. The Mk II variant of the GSLV has the same build but uses the CE7.5 cryogenic engine, which is not completely indigenous. The D1 mission, originally supposed to happen in December 2016, has injected the GSAT-19 high-throughput communications satellite into a geostationary orbit. GSAT-19 carries Ka- and Ku-band transponders, as well as an indigenous lithium-ion battery and an instrument called the Geostationary Radiation Spectrometer (GRASP). According to ISRO, GRASP will “monitor and study the nature of charged particles and the influence of space radiation on satellites and their electronic components”. The satellite weighed 3,136 kg at launch. The organisation has already announced that it is going to work towards launching two Mk II missions every year. This goal is inclusive of its target of launching 12 missions a year overall. The launch is also the first flight for CE-20 engine+ , which was under development since 2002. The engine, which runs on a less complex technology compared to its Russian design predecessors, has undergone more than 200 tests in the last few years. 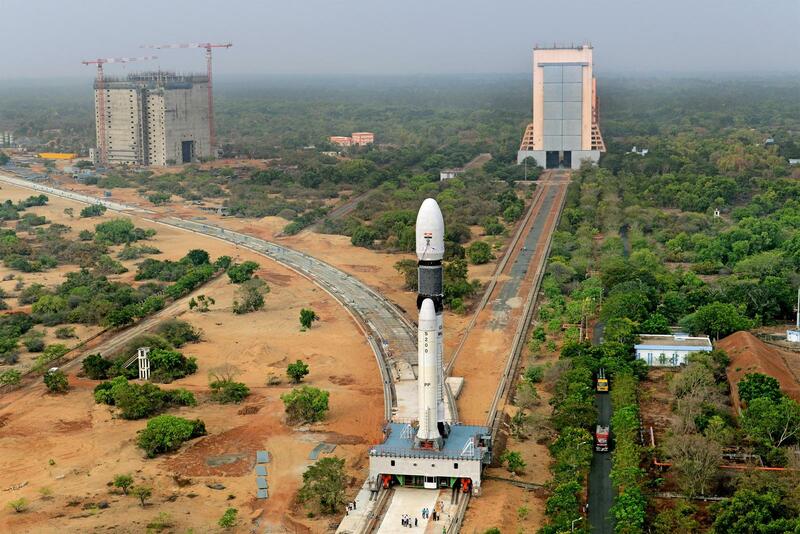 As the countdown progressed at the Sriharikota Space Centre for the launch of India's heaviest rocket, some 100 engineers and scientists at ISRO or the Indian Space Research Organisation had reason to be nervous. Till now, most first launches of India's rockets have ended in failure. With our prayers and the skills of ISRO scientists, GSLV (Geosynchronous Satellite Launch Vehicle ) Mk III had a perfect lift-off, allaying concerns of the ISRO about its gigantic home-grown rocket. The 640-tonne rocket weighs as much as 200 full-grown Asian elephants or five Jumbo jets. It is expected that one day, perhaps in a little more than seven years, it will carry astronauts to space. The government has been promoting the home-grown space programme as a demonstration of low-cost technology. In 1992, the US under President George Bush had slapped sanctions on Indian Space Research Organisation (Isro) and prevented Russia from sharing cryogenic engine technology with the Indian space agency so as to check India from making missiles –Two decades later, US space agency Nasa joined hands with Isro to co-develop the world's most expensive earth imaging satellite that will cost the two countries over $1.5 billion. One can happily smile at the fact that GSLV, which us to place this Nasa-Isro Synthetic Aperture Radar+ (NISAR) satellite into orbit in 2021, is the same rocket for whose cryogenic engine the US put sanctions on India. Super Cop KPS Gill is no more !! - Tributes .. Pro Kabbadi league 2017 ~ auction is on ! !